This is the seventh in this prolific author’s Lake District series which are published in parallel with her Cotswold series. For reviews of many of the titles in both series see the Mystery People Reviews page. Simmie (Persimmon) Brown’s flower shop is in the romantic town of Windermere on the shores of the lake of that name. She and her young assistant Bonnie are beginning to make a success of it with sizeable orders such as that from the middle-aged Gillian Townsend who is planning a party in her mother’s house in the village of Staveley to mark the retirement of her friend Anita Olsen from their joint solicitors’ practice. But Simmie’s personal life is particularly complicated. The relationship with boyfriend, and friend since schooldays, antique dealer Christopher, is progressing but time-consuming, and her father is showing signs of dementia which affect the B & B that he and Simmie’s mother run together. And out of the blue has come a letter from Simmie’s former mother-in-law: Simmie’s former husband Tony has been stabbed but the woman concerned has claimed that Tony had been stalking her and the stabbing had been in self-defence. Would Simmie be prepared to assist in Tony’s defence by giving evidence of his good character? But that not what Simmie wants to do: the reason why the marriage had broken down was the child she had been carrying was still-born and Tony’s grief had led him to an utter collapse whereas she had come to term with the tragedy and had forged a new life for herself. Except that, every year when Mother’s Day with all its faux-sentimentality and commercialism comes round, the wound opens afresh. And now, as winter relaxes into a chilly spring, so Mother’s Day approaches. And then a man’s body is found near Staveley, probably the victim of a hit-and-run driver. And the body is that of Declan Kennedy, Anita Olsen’s son-in-law. So, the retirement party will be postponed. Chief Inspector Moxon thinks that there may be more to the hit-and-run than a simple road accident. 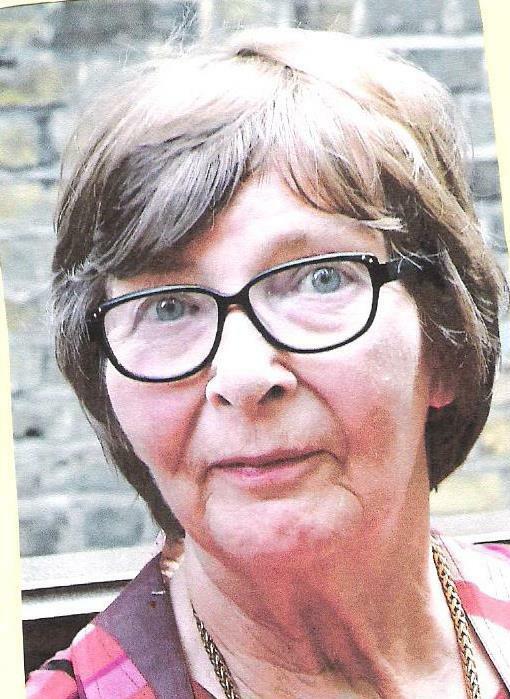 Meanwhile Anita’s daughter Debbie is convinced her mother is the perpetrator. But Gillian Kennedy is convinced that the culprit could not possibly be her friend Anita; after all, when it happened Anita was with her. 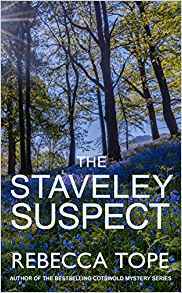 The last thing Simmie wants is to be drawn into yet another murder investigation but she is deeply sorry for Gillian who is suffering from an unpleasant terminal disease. But Bonnie and her boyfriend Ben, a geeky scientist with ambition to be a forensic archaeologist, do suspect Anita whose dislike of her son-in-law was notorious. Is Simmie right in insisting it could not be Anita? Or are Ben and Bonnie, right? This is, like the author’s other titles, very much in the cosy tradition. But, like all such stories, the cosiness is a veneer. As it peels off, so family antipathies are revealed exposing rancid scars. But which of those scars is rancid enough to lead to murder? Rebecca Tope is the author of four popular murder mystery series, featuring Den Cooper, Devon police detective, Drew Slocombe, Undertaker, Thea Osborne, house sitter in the Cotswolds, and more recently Persimmon (Simmy) Brown, a florist. Rebecca grew up on farms, first in Cheshire then in Devon, and now lives in rural Herefordshire on a smallholding situated close to the beautiful Black Mountains.